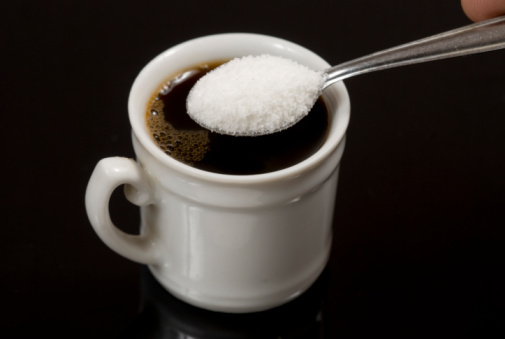 Home » General Health » Is Splenda (Sucralose) Bad For You? Is Splenda bad for you? If you want to spark controversy and a heated debate in certain camps, then ask this very question. In the health community, there’s a divide on whether Splenda (and other alternative, chemically made sweeteners like it) is safe and whether it’s a suitable option when sugar consumption isn’t possible (for diabetics, for example) or when someone doesn’t want to consume it for weight-loss reasons. Thinking that Splenda sugar is an actual product is incorrect, because it’s not sugar at all—it’s a sugar substitute. Artificial sweeteners are chemically produced to taste like sugar so consumers don’t feel as though they’re missing out. But if you’ve ever sampled this product, you’ll know right away that it doesn’t bear any resemblance to sugar in taste or texture—the product is quite powdery and not granulated, and there’s a distinct chemical taste to it. Eating a diet low in sugar is a wise move and important to maintaining not only a healthy body weight but balanced blood sugar levels. The best option is to eliminate added sugar as much as possible. It’s worth nothing that fruit and other foods have naturally occurring sugars, so those don’t count; the issue is with the sugars that are added to foods. But instead of moving to a diet that reduces or eliminates sugar, some folks move to a sugar-free diet in another sense—by adding in unnatural sweeteners, which may cause more harm than good. Splenda is the trademark name for a high-potency formulation of sucralose (1) combined with fillers maltodextrin and dextrose. It’s the best-selling brand of artificial sweetener on the market today, and is used by those who can’t have sugar or choose not to use it. The company slogan was once, “Made from sugar, so it tastes like sugar,” but that wasn’t entirely true. Technically, the “made from sugar” part is correct, but it’s been so chemically altered that it bears little resemblance to the natural product it started from. It’s made through a multi-step process that only Heartland Food Products, the current owner of Splenda, owns the rights to. The process starts with sugar and then converts it to a zero-calorie, zero-carbohydrate sweetener. The actual science behind it involves replacing three hydrogen-oxygen groups on the sugar molecule with three chlorine atoms. The addition of chlorine molecules converts sucrose to sucralose (2), which creates a sweetener that tastes like sugar, but without any of the calories or carbs. The American Heart Association recommends that women consume no more than six teaspoons of sugar a day (about 100 calories) and men no more than nine teaspoons a day (about 150 calories). This is hard to follow if you eat a Standard American Diet and drink soda. For example, a can of cola has approximately 9 1/3 teaspoons (39 grams) of sugar in it. In one can of cola, men go over their limit and women far exceed it. On top of that, sugar is hidden in many foods, from bread to tomato sauce, so exceeding six to nine teaspoons is quite easy—you could probably do it by noon. Diabetics have to watch what they eat and plan their food intake with sugar levels in mind, so artificial sweeteners can be a real joy for diabetics who crave a sweet taste without the ill effects on their blood sugar. Splenda offers that to them. If you experience any of the above, stop using it for a few days and then try it again. Take notes and see if, over time, you can sort out whether the side effects you’re experiencing are directly related to sucralose. If so, you should probably stop using it and opt for sugar or another alternative sweetener. Or, if you tend to use a lot of sucralose, try just cutting back on how much you use and see if that controls the side effects—it could be linked to how much you are consuming as opposed to the product itself. Regardless of any potential side effects listed in a few studies, the FDA approved the use of Splenda in 1998 based on over 100 studies done over 20 years which found that Splenda was safe for consumption. The American Diabetes Association and the Canadian Diabetes Association also approve the use of sucralose in children and adults. Is Splenda Bad for Your Health? 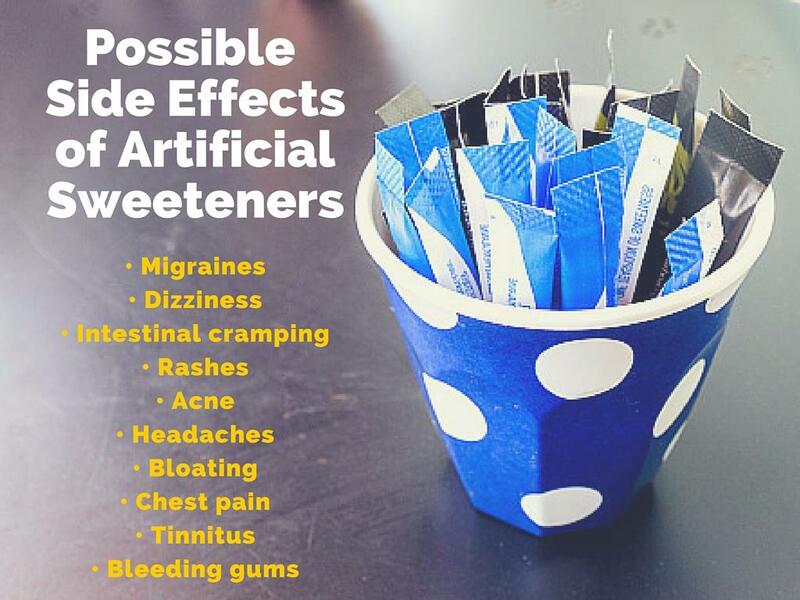 As a consumer, it’s up to you to determine what the right sweetener choices are based on the information out there, some of which is conflicting. Many studies have been done claiming that sucralose causes cancer, diabetes, and weight gain, and many claim that it’s perfectly fine for human consumption in normal amounts (with “normal” not being quantified to any specific amount). On its Facebook page about two months ago, Splenda wanted to set the record straight on sucralose safety by posting a comment referencing the 100 studies mentioned above. If you’re comfortable with these studies, then by all means enjoy Splenda as an alternative to natural sugar. But if you can use sugar (that is, if diabetes, for example, isn’t an issue) then why not just use the real deal, raw sugar, and use it in moderation? Moderation is the key to good health. Or you can try cutting back on sugar/sweeteners in general. If you enjoy four teaspoons of sugar in your tea or coffee, slowly reduce your consumption and train your palate to be OK with, say, just one. It sounds hard, but it will work! Your body will adjust. Sugar has been said to be as difficult to quit as drugs, so go easy on yourself and start withdrawing slowly. Also note that withdrawing doesn’t have to mean complete removal if you don’t want to be that strict; it can mean reducing your intake to a smaller amount than normal, and eventually making it your new normal. Is Splenda harmful? Consumers need to make decisions that fit in line with their comfort levels, lifestyle needs, and health concerns. A human tolerance study published in 2000 in the Food and Chemical Toxicology journal (4) found that there was no reason to believe that adverse effects on human health would happen if people consumed sucralose over the long-term or occasionally. Which Other Natural Sweetening Options Are Available? 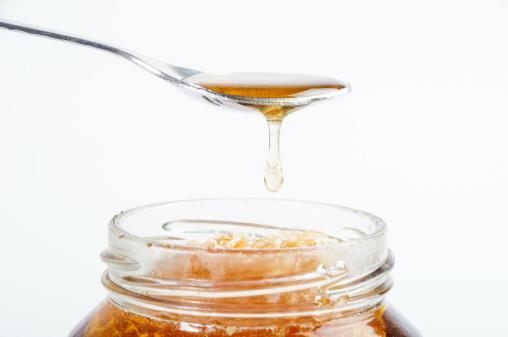 Use honey as an alternative to artificial sweeteners. Is Splenda bad for you? Chances are that it’s fine for consumption, and the data seems to back that claim up; better-designed studies with reproducible, peer-reviewed results proving any ill effects are needed before ringing the alarm bells. But all the same, if you’re uncomfortable with it, you can use any of the above alternatives to sugar and sucralose. Or if you can, mix it up: use a little bit of Splenda but also try the other options above so that you aren’t only ingesting sucralose. Perhaps you will find that you prefer honey in your tea, but Splenda in your coffee. It’s all about balance and finding what works best for you.